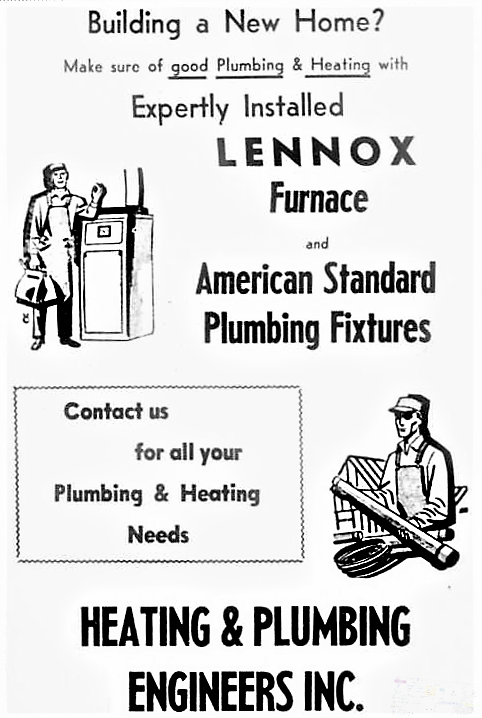 PHOTO #8: This image contains an HPE ad placed in the Colorado Springs Gazette on January 29, 1961 -- touting our expertly-installed Lennox furnace and American Standard plumbing fixtures. Heating & Plumbing Engineers was quickly gaining a reputation for what has become our mantra, today -- 'honest performance everyday' -- as we secured our foothold as a reliable, honest plumbing and heating partner that customers could rely on. We are enjoying our trip down Memory Lane with you -- stay tuned for more on our historical campaign!